According to a recent study an early relative of mammals already possessed an extraordinarily expanded brain with a neocortex-like structure. This has been discovered by Michael Laaß from the Institute of General Zoology at the University of Duisburg-Essen (UDE). Today, mammals possess large and efficient brains. But, what was the bauplan of the brain of their far relatives, the therapsids? When and why evolved the neocortex? For his doctoral thesis the palaeontologist Michael Laaß invesitgated a ca. 255 million years old fossil skull of the therapsid Kawingasaurus fossilis in collaboration with Dr. Anders Kaestner from the Paul Scherrer Institute in Switzerland by means of neutron tomography and reconstructed the internal cranial anatomy in 3D. The results were amazing: The relative brain volume of Kawingasaurus was about two or three-times larger than in other non-mammalian therapsids. Laaß: “Interestingly, Kawingasaurus already possessed a large forebrain with two distinct cerebral hemispheres”. Obviously, a neocortex-like structure at the forebrain similar to the mammalian neocortex was present in this animal. Why is this brain structure evolved in Kawingasaurus? “Kawingasaurus was a burrower and special sensory adaptations were crucial for life under ground”, explained the UDE scientist. For example, this therapsid possessed frontally placed eyes, which were probably useful for binocular vision in dimlight environments as it is known from modern cats and owls. Furthermore, extremely ramified trigeminal nerve endings penetrated the snout, which might be an indication for a well developed sense of touch. The inner ear vestibules were also very large, which suggests that Kawingasaurus was well adapted to detect seismic vibrations from the ground. Laaß: “These special sensory adaptaions also required a more efficient neural processing of the brain than in other therapsids.” It seems reasonable that these special adaptations of the sense organs and the brain to underground life triggered the expansion of the brain. Interestingly, a similar scenario for the origin of the neocortex has been also proposed for early mammals. Consequently, the recent study at the UDE supports this hypothesis. 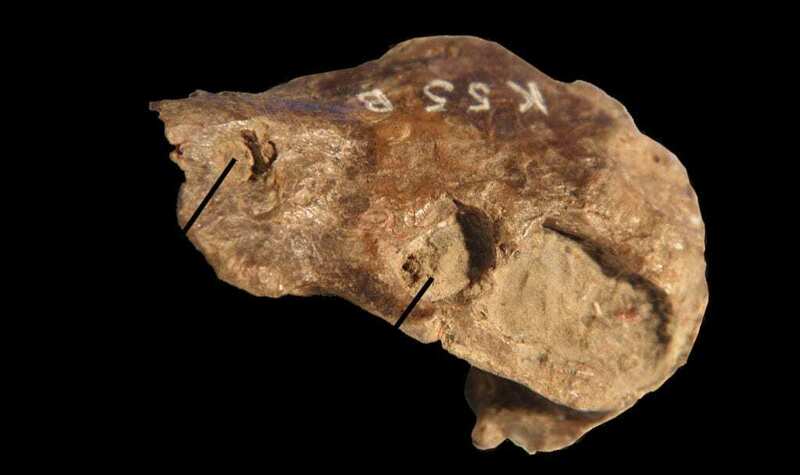 Moreover, the new discovery also shows that a neocortex-like structure already developed in the therapsid Kawingasaurus about 25 million years earlier before the emergence of the first mammals. However, Kawingasaurus was not a direct ancestor of mammals. 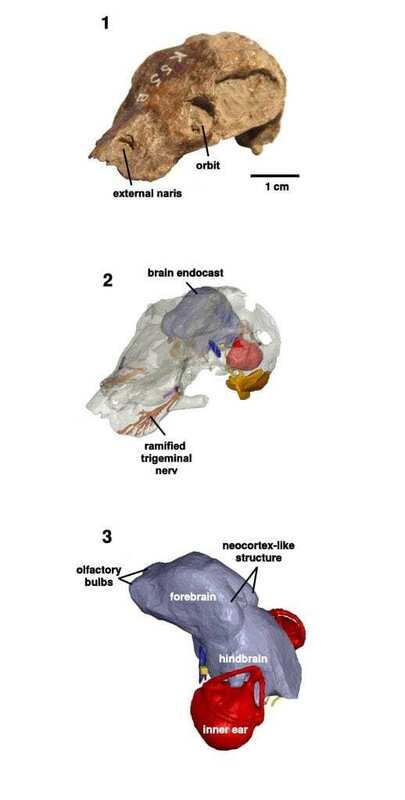 Consequently, neocortex-like structures evolved several times independently in pre-mammalian and mammalian evolution.